First Day of Spring (Billy White): Steve Belvilus, drums; Yunior Terry, bass; Billy White, piano. Masaya (Billy White): Kevin Kanner, drums; Ryan McGilliguddy, bass; Billy White, piano. Below: Billy White Trio performs "Diamond Steps" (original) on Dec. 7, 2009 at the 5C Cultural Center, New York, New York. Featuring Bennett Miller, bass; Ray McNaught, drums; Billy White, piano. Below: (Excerpt): Billy White Quintet West performs Song For A Friend (original).t the Red Poppy Art House, San Francisco, CA, Sep 4, 2010. Personnel: Dave Ellis, Tenor Sax; Chuck Mackinnon, trumpet; Jaz Sawyer, drums; Ben Wanicur, bass; Billy White, piano. Below: "Cutouts" (original) performed by Billy White Quintet West at the Red Poppy Art House, San Francisco, CA, Sep 4, 2010. Personnel: Dave Ellis, Tenor Sax; Chuck Mackinnon, trumpet; Jaz Sawyer, drums; Ben Wanicur, bass; Billy White, piano. Below: Billy White Quintet West performing "Under The Train" (original) at Birdland Jazz &BBQ, Berkeley, California, Sep 18th 2010. Featuring Eric Crystal, tenor saxophone. Chuck Mackinnon, trumpet, Eric Garland, drums, Ben Wanicur, bass, Billy White, piano. Check out the sax solo by Eric Crystal! "I love all kinds of music. But jazz is one kind of music that I will always return to, because it is so full of freedom, and of life energy. The human mind is itself an amazing phenomenon, and music is, to me, one of the most amazing things it can do. " Composer/pianist Billy White is steeped in the jazz tradition, but the path he has taken so far is anything but traditional. He attended UCLA's jazz studies program on a piano scholarship, where he was fortunate to be taught by jazz masters like Kenny Burrell and Gerald Wilson. 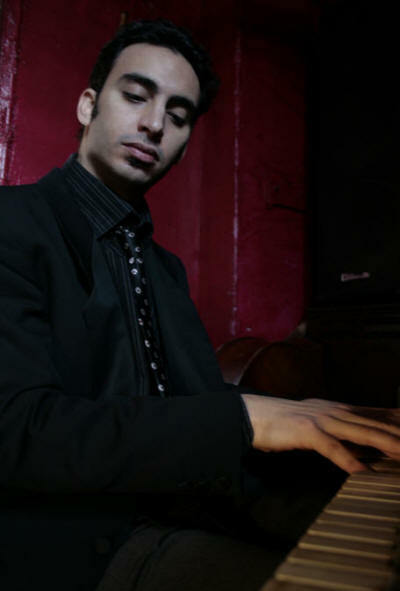 While it was for his piano playing that has received awards (see below), it is White's focus on composition which is evident in his recent album, "First Things First", as well has his involvement in scoring a number of film, dance and theater projects over the recent few years. 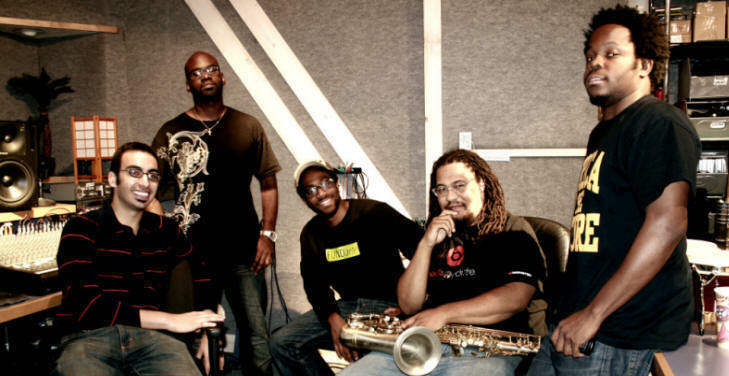 France), Marcus Shelby, Dave Ellis, Kenny Brooks, and 2009 Grammy Nominee Maiysha. His debut album "First Things First" was released in 2010 on Porto Franco Records and was acclaimed as "One of the year's most impressive releases" by the San Francisco Chronicle and "impressive" by Down Beat Magazine. The album, featuring 11 original compositions, includes Steve Belvilus (Les Nubians), Yunior Terry (Steve Turre, Steve Coleman), Dayna Stephens (Wayne Shorter), vocalist Yaala Ballin, and Ambrose Akinmusire (winner of the Thelonious Monk Competition). White's resume is also incredibly diverse for a jazz musician of his age. Some examples include accompanying for the Martha Graham School and Company dancers, earning a Bachelor's in Ethnomusicology at UCLA and performing fieldwork in Ghana, Morocco and Nicaragua. He also composed the jazz and funk score for the award-winning documentary "Bowling Blind" and an eclectic forthcoming musical, "Finding Harlem Dawn". Recently dabbling into the world of gospel, he is currently the Music Minister of New Journey Baptist Church in Brooklyn. Every experience inspires him and contributes something unique to his work. He has been helped along the way by many teachers, supporters and benefactors, winning the CMEA Command Performance, the Duke Ellington Award, the Martin Feldman Award, and the David A. Abell Jazz Piano Scholarship, David Abell (a piano-store- owning philanthropist who also helped nurture the nascent career of a young Claire Fischer), was, in particular, a major benefactor, supplying White not only with the Abell scholarship, but loaning him a piano from his store. White also displayed an early and continuing interest in composition, writing a piece for nearly every high school and college concert in which he participated. His teachers have included: Kenny Burrell, Tom Ranier, Gerald Wilson, Rebecca Mauleon, Jim Rousey, and Roberto Miranda. Billy White, piano; Ambrose Akinmusire, trumpet; Dayna Stephens, saxophone; Steve Belvilus, drums; Yunior Terry, bass. Billy White, piano; Steve Belvilus, drums; Bennett Miller, bass. Book now for a performance at your festival. Personnel may vary depending based on availability.